Tony B. 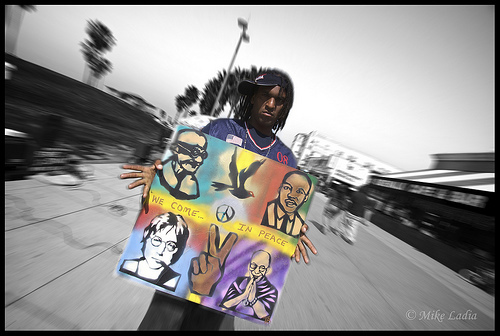 Conscious, known to many around the world simply as “THE GHETTO VAN-GO” is one of the Hottest political, HIP HOP, HISTORICAL and spiritual pop artist on the west coast , and probably in the world. 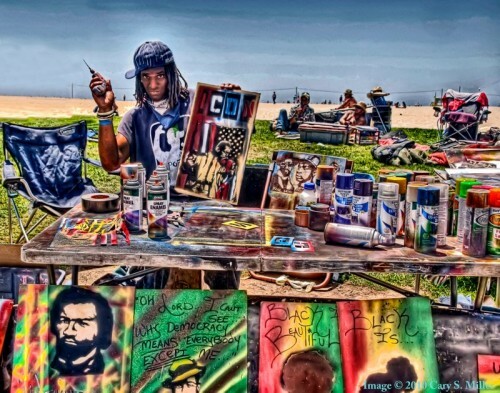 Crowned in the nineties on Venice Beach in California, THE NUMBER ONE AND HARDEST WORKING ARTIST ON THE BOARDWALK, he has been doing this style (which he has named and patented “FLY DYE ART”) for a long time. 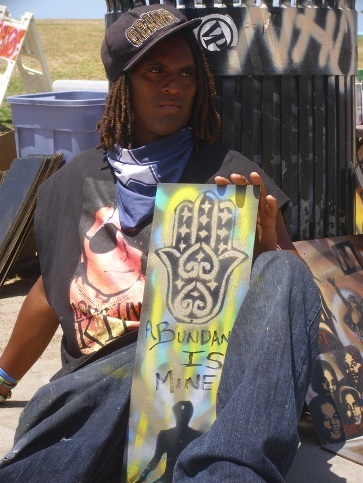 He is (amongst other things) A B-BOY, BEATBOX,EMCEE, GRAFFITI/VISUAL ARTIST (known as “THE GHETTO VAN-GO”), Poet/ Spoken Word Artist Vocalist, ACTIVIST, VEGAN VEGETARIAN and PHILOSOPHER. He has not only worked for the OBAMA campaign (coined “The Obama Hip Hop Hype Man”), he has also been on stage and on tour with KRS-ONE, GRANDMASTER FLASH, KOOL HERC, BUSY BEE, PUBLIC ENEMY, KOOL MO DEE, GRANDMASTER CAZ, PARIS, TUPAC and ERYKAH BADU just to name a few.